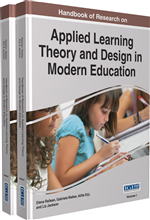 This chapter deals with self-organization teaching technologies as the best instrument of generating, development and using of the innovative methods in education. As a process of spontaneous, dynamic motion of the components of a socio-system, self-organization can randomly generate new (often attractive) structures, processes, and situations. Self-organization of a student group can generate new techniques and ideas for learning and under the knowledge contents also increases students' motivation to learn, interest to the discipline, encourages teachers to professional self-development and to a deeper understanding of the subject matter and techniques. The section suggests several key ways to initiate the self-organization of a group of students or teachers: heuristic methods, interdisciplinary explication, educational heterosis, developing of managerial competencies of a teacher. Factors enhancing the use of self-organizational teaching technologies are disclosed. Ideas that underlie self-organization teaching technologies concern not only the nature and mechanisms of the self-organization process, but also the concepts of creativity, network-based learning, learner-centered methodology of teaching, and innovations in education. It is important to understand innovations in education in the broad sense, including both technologies and competencies. Both these aspects form the background of the issue of self-organization technologies in education. Creativity: The ability to produce new ideas or products that characterizes any successful professional today, which can be used in the teaching process to improve academic attainment and training of more competitive learners. Heuristic Methods: Methods based on the use of creativity, imagination and intuition of decision makers or those who are taught. Social Self-Organization: A process of spontaneous, dynamic motion of social system components, that can randomly generate new, often attractive, structures, processes, and situations. Managerial Competencies of a Teacher: The abilities of teachers to manage not only themselves and their time (self-management and time-management), but also a team of students; the ability to participate in management of educational institutions; using management principles and methods for influencing a group of colleagues or social-psychological peculiarities of a team. Interdisciplinary Explication: Using methods or rules traditional for some disciplines or areas of knowledge in a new context. This concerns the innovatics of borrowing and transference of technologies and principles from one area of knowledge to another one. Innovations in Education: Methods that appear in the educational space for the first time; forms and technologies used by a small number of teachers in a small proportion of studies. Educational Heterosis: The crossing or exchange of educational ideas and techniques between educational systems of different countries.